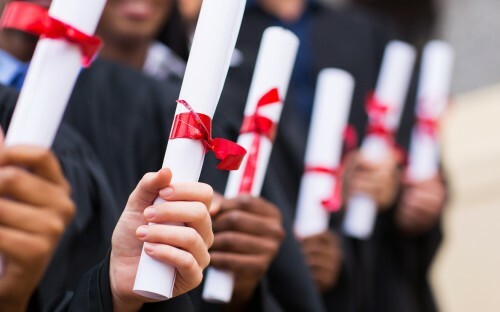 The director of a leading master's in business analytics program has said that MBA degrees are "being replaced" by technical and professional skill programs. The surge in demand for more technical and professional skill degrees is “replacing” the MBA, according the director of a leading master’s in business analytics program, one of the most popular and fast-growing courses that utilizes big data. Business schools have seen increasing demand for new business analytics programs, which are shorter and cheaper than an MBA with strong job prospects, often receiving hundreds of applications for just a few dozen places. This has raised the question of whether data analytics programs will start to compete with MBAs, schools’ flagship courses. Data analytics is just the latest manifestation of short courses that can be completed much faster than an MBA and often on a part-time basis, meaning students can maintain full-time jobs. MBAs face competition from a host of other professional qualifications including the CFA exams, management accounting qualifications, and Moocs, massive open online courses, which are now being monetized by the learning technology groups which develop them. A host of top business schools including NYU: Stern, the McCombs School of Business and USC Marshall School of Business have launched specialist master’s degrees in business analytics. This is a response to a surge in recruiter interest in graduates whom are skilled in digital areas including data analysis, with demand coming from management consultancies, banks and e-commerce groups, among others. Wullianallur said that data has has improved prospects for students with analytical backgrounds, but added that it could mean a shift away from “traditional” jobs in business. Many business schools disagree with the suggestion that business analytics programs will compete with the MBA, saying that they target different audiences – usually either established executives or fresh undergraduates. But demand has been strong and Wullianallur’s comments come at a time of mass course creation. Many top MBA programs are setting up electives focused on data. But Wullianallur said that just one or two courses may not be sufficient. “The field of analytics is complex, rich, diverse and comprehensive,” he said. But others disagree. Michael Goul, chair of the Information Systems Department at W. P Carey School of Business, said he does not believe that graduates of specialized analytics programs will directly compete with MBA graduates for jobs. He said: “Many recruiters I’ve talked to maintain that when they are seeking a data scientist who can be a leader in bringing analytics prowess to their organizations, they are opting to raid other companies.” But he added that these newly minted managers are starting to build teams. “They are looking to university programs for new talent,” he said. Michael said that business schools adopting both MBA and master’s in business analytics programs is a “win-win”. “Being in a position of having a top-ranked MBA program and a new and growing MS in business analytics program can attract a broad array of great companies,” he added.